This is the approach adopted by cellular systems where each SIM card has a secret key inaccessible to anyone once fabricated and brings many advantages since the terminal sets out from the factory with all the information within it to enable the network to authenticate it. However, it does require a secure database to be administered among chipset manufacturers and network operators and tends to work best in an open standards environment. It is the approach adopted by Weightless which enables it to achieve “carrier grade security”. Get the developer's guide to Weightless-P security. Enter your email address below and click the orange button for immediate download. we don't share your email address. no spam. This means that should a flaw be discovered a new security approach can be downloaded and installed remotely, resolving the problem. Again Weightless offers this capability. Sending the same message generates a security weakness that attackers can use to decode (it was how the Enigma cracked the German code – the use of the phrase “Heil Hitler” at the start of many messages). Weightless overcomes this by generating a changing number called a “nonce” that is encoded along with the data from the device to ensure the message is always different. This also allows various other security checks such as that messages are arriving in sequence, preventing messages being recorded and replayed later. At this point the weaknesses are much more likely to be with the client-stored data than the wireless network. But it requires excellent design, careful selection of trade-offs and a belt-and-braces approach of being able to swap out a security suite that turns out to be weaker than expected. Unfortunately, few systems available to date have all of these. It only takes one widely publicised breach to remove all confidence in a technology. Weightless is designed to ensure this never happens. AES-128/256 encryption and authentication to the network guarantees integrity whilst temporary device identifiers offer anonymity for maximum security and privacy. OTA security key negotiation or replacement is possible whilst a future-proof cipher negotiation scheme with a minimum key length of 128 bits protects long term investment in the network integrity. The two are somewhat related. If data is kept secure then the companies that can read it are limited and privacy more likely to occur. If the system is not secure then the chances of achieving privacy are low. We are so used to hearing about security breaches in Internet-related systems that it is easy to assume that nothing is secure and that any system can be hacked. This is not entirely true. Wireless systems can be very secure – there have been few, if any, significant breaches of the cellular systems that have resulted in customer conversations being overheard or account information hacked. When breaches do occur they tend to be at the application layer with organisations like Facebook and others struggling to prevent loss of password data or similar. So a well-designed wireless solution should be able to keep data and privacy secure up to the point that the data passes to a solutions provider (such as a car manufacturer). After this point, it is out of the control of the wireless solution as to what happens to the data. Equally, a poorly designed wireless system can provide opportunities for attack that are hard to close off since updating remote terminals can be difficult, especially in one-way networks. 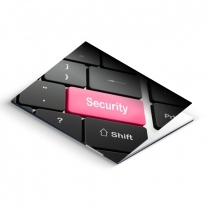 Several significant factors affect security. The network authenticating the terminal needs to be sure that the terminal is the device it claims to be and the terminal authenticating the network needs to have confidence that it is a valid network to which it can pass information. Information needs to be encrypted so that it cannot be overheard, or if it is overheard that it cannot be interpreted. Replay-type attacks where data is recorded and then replayed later to the network resulting in what appears to be the same message being resent need to be prevented. Ease of commissioning the device for the first time – ideally not requiring the commissioning engineer to enter long digit strings into databases or similar. The overhead added to messages to provide the encryption which should not be so large that it materially increases data traffic volumes. The processing power required in the terminal to perform any security-related operations ideally should not require additional elements or higher power drain. The power of encryption which ideally should not prevent export worldwide. 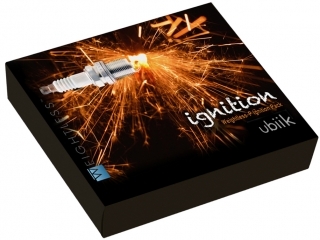 The WEIGHTLESS IGNITION PACK is a complete IoT system including base station, modules & antennas - everything you need to deploy your own Weightless-P network and start designing. Hit the ignition! button below and we'll ping you complete technical specifications + details of a valuable pre-launch offer on Weightless Ignition Packs. "Weightless-P is the single most significant milestone in the evolution of LPWAN technology to date. Period." © 2016 Weightless SIG All Rights Reserved.